Why do you need a tax accountant’s assistance when tackling your tax preparation this year? Well, the recent Tax Cuts and Jobs Act made significant alterations to the tax code. As such, these 2018 tax reforms will likely impact the way millions of Americans file their taxes. Enlisting the aid of a tax professional can help cut through the confusion, so you minimize your tax burden and maximize your return without having to worry about running afoul of the IRS. What are some of the changes that could impact your tax return? You only need to glance at the United States’ tax laws to recognize their complexity. With any complicated system, the potential for loopholes is very real, and the tax code is no exception. Because the very wealthy have the resources to hire professionals who can help them capitalize on every lawful opportunity to shield their wealth, the government created the Alternative Minimum Tax (AMT). Intended to ensure that high-income Americans pay their fair share, it basically requires higher-income households to calculate their taxes under both the standard tax system and the AMT before paying the higher amount. The exemption amount for single filers rises from $54,300 to $70,300. The exemption amount for married couples filing separately rises from $42,250 to $54,700. The exemption amount for married couples filing jointly rises from $84,500 to $109,400. The threshold for when the AMT exemption starts to phase out for single filers rises from $120,700 to $500,000. There’s no question that quality medical care can save your life and improve its quality, but the marvels of modern medicine come at a price. In recognition of that fact, Americans have long been allowed to deduct a portion of their out-of-pocket medical and dental expenses from their taxes. The mortgage deduction has long been touted as one of the benefits of owning a home. In the past, you could take an itemized deduction for the interest paid on mortgages secured by your principal residence and one other qualified residence. Interest paid on home equity loans could also be deducted, regardless of the way the funds that they provided were used. While mortgage deductions are still on the table, the tax reforms have modified the rules governing them. As the IRS explains, only interest paid out on home equity loans that are used to buy, build, or substantially improve a qualifying property can be deducted from your taxes. The cap on the mortgage value has also been altered. Previously, you could deduct the interest paid on mortgages valued up to $1 million on a qualifying residence. That still holds true for people who finalized their mortgage on or before Dec. 15, 2017. However, new homebuyers can only deduct the interest on up to $750,000 in mortgage debt. It’s important to note that these new caps apply to the combined amount of any loans used to buy, build, or substantially improve qualifying residences. Whether your kids are toddlers or teens, parenting presents plenty of challenges. Being a parent also entitles you to certain perks, including the child tax credit. How has this family-friendly credit been impacted by The Tax Cuts and Jobs Act? According to Magnify Money, the previous incarnation of the child tax credit offered a credit of $1,000 for each qualifying child under the age of 17. The credit began to phase out as incomes rose, starting with single filers with adjusted gross incomes of $75,000 and joint filers with adjusted gross incomes of $110,000. The revamped child tax credit, which is in effect until 2025, offers a $2,000 credit for each qualifying child. Some $1,400 of that credit is refundable, which means that you could see that much directed towards your tax refund. In addition, the new law adds a $500 nonrefundable credit for each dependent other than a qualifying child. When you file your taxes, you have a choice regarding your deductions. You can opt to itemize or go for the standard deduction, which is a set dollar amount that taxpayers who forgo itemizing can subtract from their income. Itemizing is more complicated and takes more work, but it can be worth it if the total of your itemized deductions is more than the standard deduction. Under the Tax Cuts and Jobs Act, the standard deduction almost doubles, which may make itemizing seem even less appealing. However, the sizeable increase in the standard deduction is partially offset by the suspension of the personal exemption, a deduction you were previously able to claim for yourself, your spouse, and any dependents to reduce your adjusted gross income. In many cases, this change will leave more money in the pockets of taxpayers. However, everyone’s tax situation is unique, so you’ll need to weigh your own circumstances carefully to determine your best strategy. The standard deduction for single filers and married couples filing separately rises from $6,500 to $12,000. The standard deduction for heads of households rises from $9,350 to $18,000. Do you have questions or concerns about these or other changes made by the 2018 tax reforms? With so many modifications, consulting with a tax accountant just makes sense. They understand the recent changes and how to navigate them, so they are ideally suited to help you identify your best course. 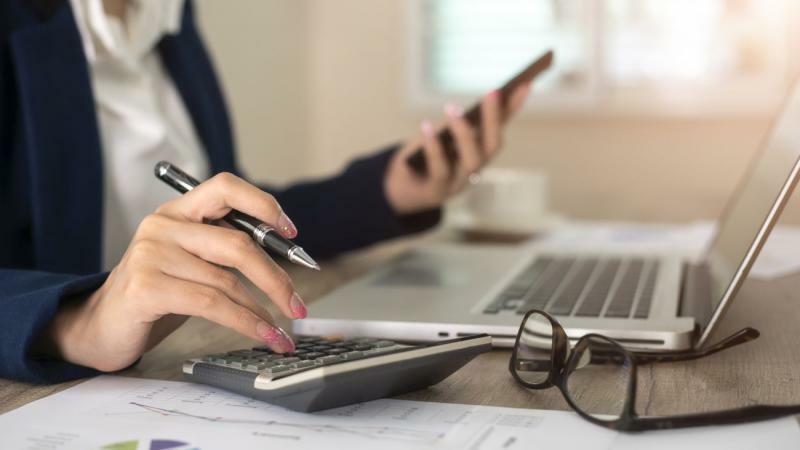 In fact, the costs incurred in hiring a tax accountant are often offset by the savings that their services can deliver when your taxes are filed. Would you benefit from valuable advice and assistance with your tax preparation? If so, contact a tax accountant to schedule an appointment.